Maximum flexibility and knowledge of what the customer wants! 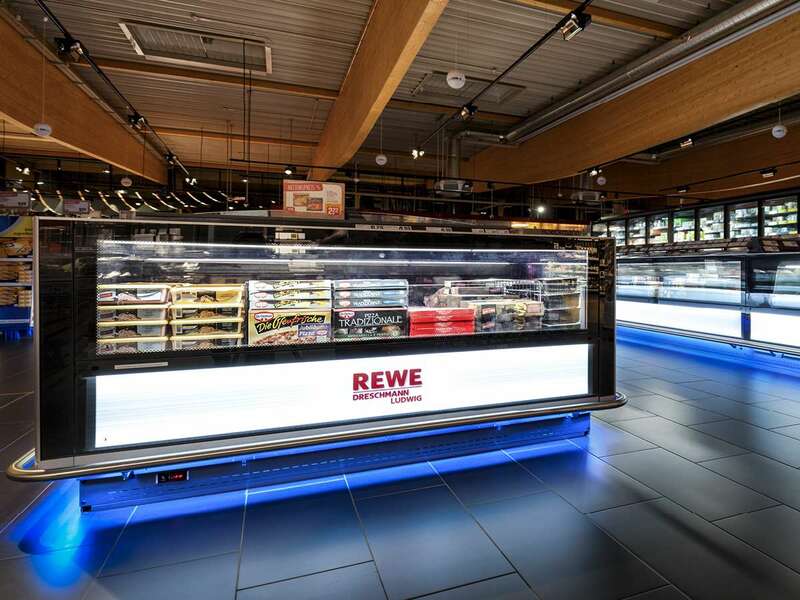 The facade alone – made of wood, aluminum and glass – provides for a shopping experience marked by sophistication and high quality over 1850 m2 of sales space. 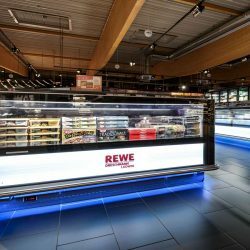 For their second REWE supermarket, the owners drew valuable inspiration from other food retail markets. 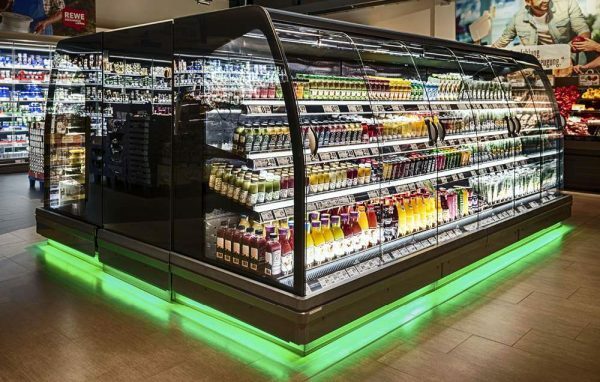 For equipping the refrigeration area, they were very impressed by a concept found in a market in the nearby region which also features PAN-DUR refrigerated units of the PURE cool design line. 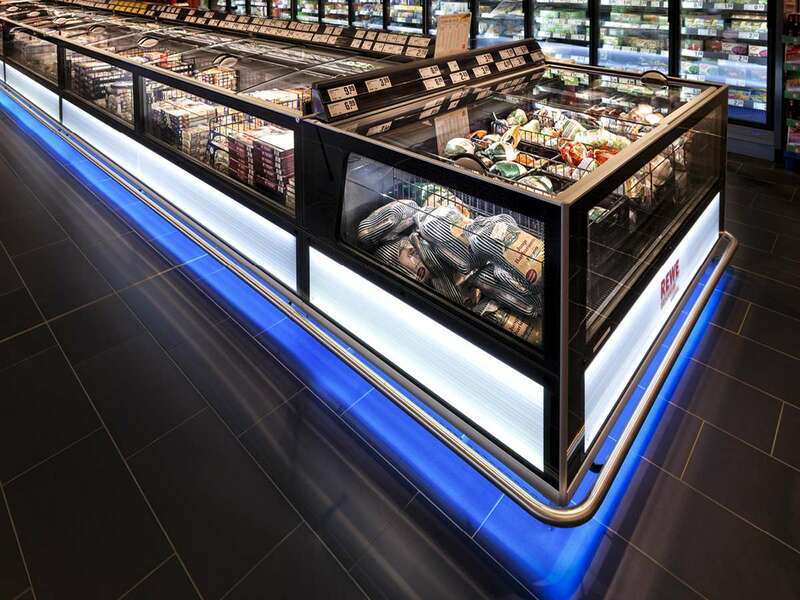 They thus opted for refrigerated semi-verticals and display freezers from PAN-DUR’s PURE cool series. 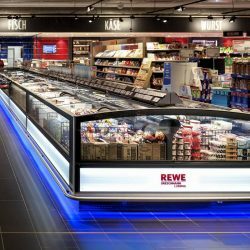 Besides the high-quality appearance and energy efficiency, a particularly attractive element of this design concept for Dreschmann und Ludwig was the high degree of design customization. 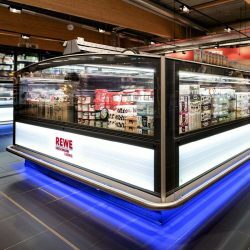 The perfect adaptation of the color of the refrigerated units and their lightning to the interior architecture of the market were just the beginning. PAN-DUR manufactures all the glass elements at its own factory using cutting-edge processes. This enabled a special solution for a gondola installation. 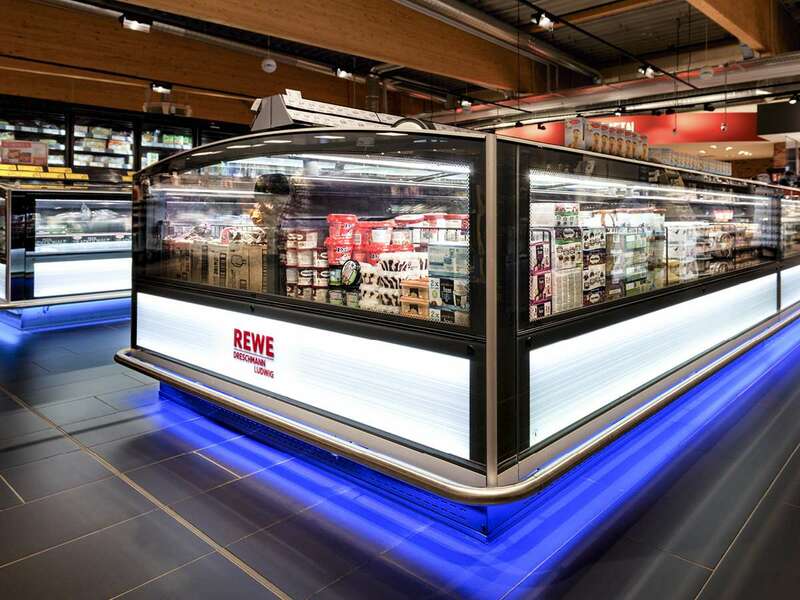 The free space between two semi-vertical PURE cool Semi S refrigerated multideck models has been converted into a garage for shopping carts. The benefits of such a storage location are obvious. Goods are quickly in place and there is no longer anything blocking the aisles. 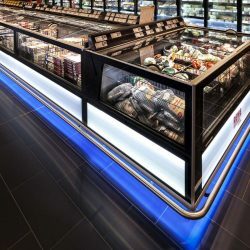 The complete refrigeration system is looked after by staff with great care – which shows their appreciation of the concept. 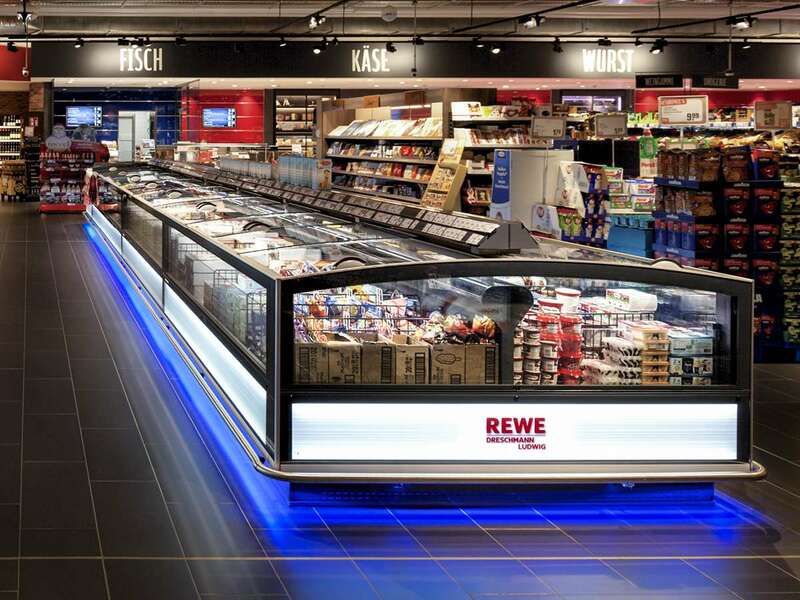 And Dreschmann und Ludwig are now planning to install customized equipment solutions from PAN-DUR for their third REWE supermarket – a former Kaiser’s Tengelmann supermarket along the main road in Langenfeld which is currently being renovated.